Join us for fun tennis activities for all ages in the parking lot of the Karastan offices on Henry Street. Have fun, get fit, make new friends, and play more tennis at RiverFest 2017. Bring your family to play fun tennis activities in the Karastan Parking lot on Henry Street in Eden's RiverFest 2017 Kids Zone. RC Tennis volunteers and coaches will be there to show you just how much fun it is to find yourself in the game of tennis. 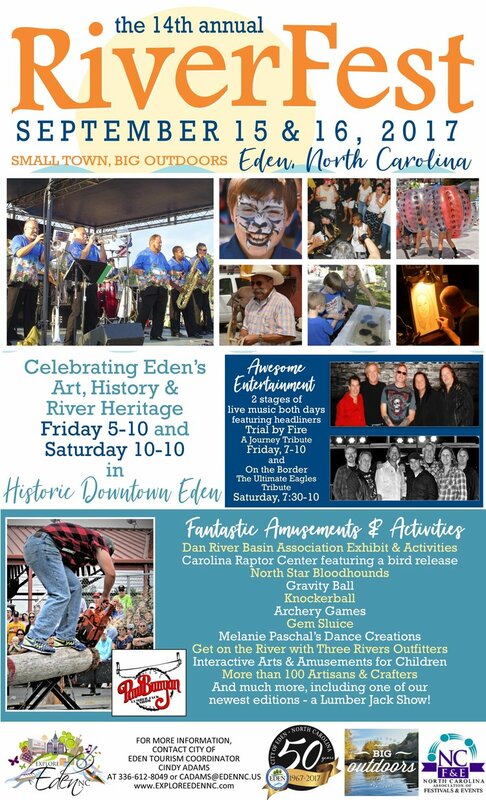 RiverFest is a celebration of Eden's art, history and river heritage. This annual event takes place in the Old Leaksville Shopping District on Washington Street - the oldest downtown area that dates back to 1797.